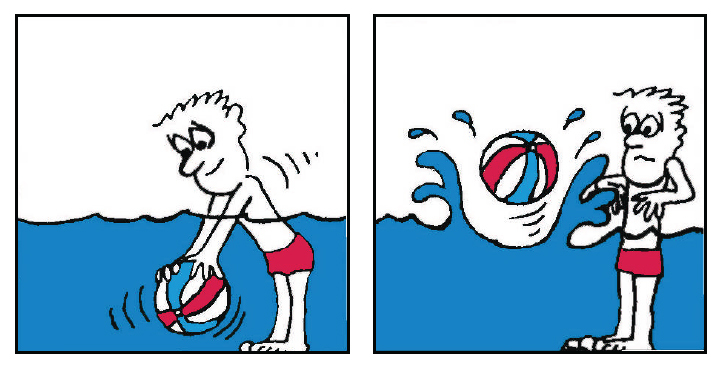 If a ball is pushed underwater and then released, it will soon bob up again because of a force which is called buoyancy. When a vessel floats freely, her buoyancy is equal it her displacement mass (cf. Archimedes principle). 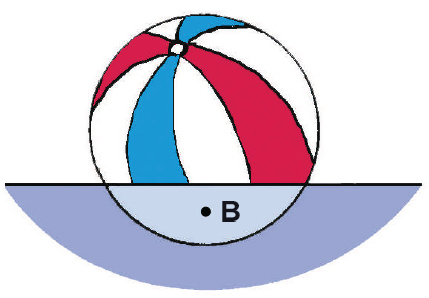 Centre of buoyancy is the point (B) through which the force of buoyancy is considered to act vertically upwards. The centre of buoyancy is the geometric centre of the underwater section of the vessel. When the shape of the vessel is known, a ship designer can calculate the centre of buoyancy (B) for the various combinations of loading and heel of the vessel.